Since November 2011 I work as an editor for Virtueel Platform, the knowledge institute for digital culture in the Netherlands. I write about Best Practices; good examples of Dutch digital culture. The projects vary from interactive installations, games, apps, media art and digital archives, to theater productions, music instruments and exhibitions. Every year we choose a couple of topics that we focus on. One of the topics of 2012 is transmedia, and how digital techniques are changing the way we tell stories. Last summer I did research on how transmedia is emerging in the Netherlands and what struggles there are in that field. Transmedia storytelling is a way to create a storyworld and tell a story across multiple platforms and formats. The different media complement each other and are linked together. An essential aspect of a transmedia production, is that the audience can actively participate in the storyworld. Therefore a digital platform often has a central role. One example is a tv series where the audience can follow the characters on Twitter and respond to them. 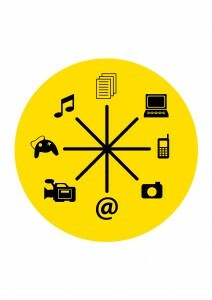 Transmedia arises from our convergence culture, as mediatheorist Henry Jenkins states. We use all kinds of media at the same time. We text with our cellphones while listening to music on Spotify, reading the newspaper, checking tweets and meanwhile writing a blogpost. Since the audience is getting more and more used to consume different media at the same time and responds to them online, producers are looking for new and creative ways to tell their stories, and use different platforms in order to create a storyworld. 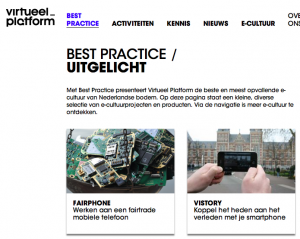 Among the Best Practices of Virtueel Platform are a couple of Dutch transmedia projects. One very interesting project is Human Birdwings, by Floris Kaayk. Human Birdwings is about the Dutch engineer Jarno Smeets, who decided to work on ‘human birdwings’ to be able to fly. For eight months Jarno shared his research findings, design sketches, calculations and video’s of test flights on his blog, YouTube, Twitter, LinkedIn and Facebook. After a few weeks a lot of people started to follow him online, encouraging him to go on with the project, but also giving Jarno tips and tricks on how to proceed. Universities were interested and asked if they could help doing the research, and even Wired magazine was writing about the project and the possibility of creating birdwings. In March, Jarno published a video on YouTube containing footage of his first flight. This video got viral within a few days (more than seven million views at this moment) and was broadcasted on television worldwide. After a few days Jarno was invited for De Wereld Draait Door (a Dutch television show) to explain his project. Jarno admitted that he was actually Floris Kaayk, a Dutch filmmaker who had started the transmedia project. The video of the first flight contained some special effects. 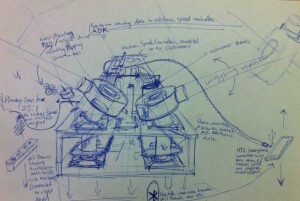 Here you can find the statement of Human Birdwings, that explains the project in more detail. I think Human Birdwings is a good example of how you can involve the audience in a storyworld by using digital media. I’m very curious about future transmedia projects. What kind of media will they use? And what are new ways of engaging the audience? What are the stories we want to tell?